For the third time in about a year, PayPal has frozen the account of an independent developer for six months, presumably because preorder activity triggered red flags. PayPal rarely says why in this case, even to the account holder, leaving its actions to appear arbitrary and bureaucratic, if not portrayed as mean-spirited. Minecraft had $750,000 frozen last September; the makers of Project Zomboid had their account locked in May, requiring a clever work-around to get the game to customers. 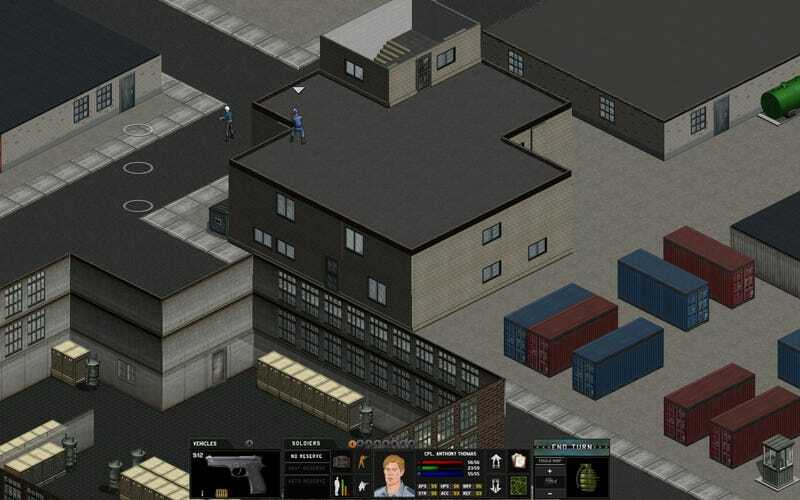 Now Xenonauts, the X-Com remake, has had funds frozen for 180 days. Developers Goldhawk Interactive say only $4,300 is locked away from them, and that the amount does not threaten completion of the game. That's not to say they don't need the dough. "There's enough left in our corporate bank account to get the game finished," designer Chris England wrote on the Xenonauts site. "Whether we'll be able to implement all the 'nice-to-have' features on that budget (such as our new UI style) remains to be seen, but we'll be able to complete it to the original spec on the funds we currently have. "However, losing our only source of income is obviously going to be disruptive to the project, as we were getting a good source of income from pre-orders up to this point," England said. "It's also not the ideal way to mark the start of my full-time work on the project. However, I'll keep you guys posted on how things turn out." Independent games developers aren't necessarily targeted or monitored by PayPal. Craft sellers and eBay vendors have also complained of the same sanctioning. But games developers they do tend have robust communities that pay attention and publicize—loudly—occurrences such as these. At any rate, to the gaming consumer, this has little direct effect other than to engage their outrage and sympathy. Goldhawk will honor all preorders; demanding one's money back from PayPal is probably not a good idea as it seems to confirm their belief that suspicious activity was taking place.